Every month the museum highlights – a document or a theme. In common, always the Resistance and the Freedom, in all its forms. 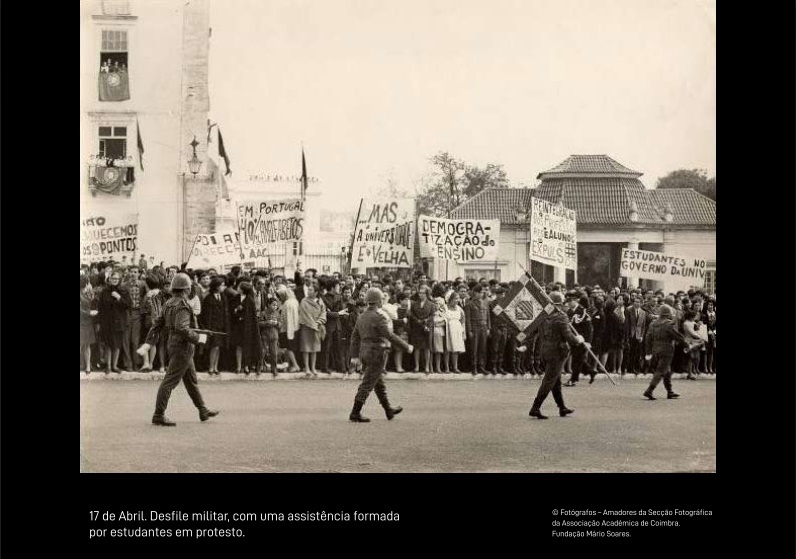 On April 17, 1969 began the academic crisis in Coimbra. Demanding the democratization of the university, the student struggle, strongly repressed by the regime, extended and became one of the most significant moments of protest against the dictatorship. Already led by Marcelo Caetano, facing a never-ending colonial war, the regime, out of time and out of touch with the world, entered his dying years.